Thinking about moving to Atlanta? Well, sometimes the hardest thing to do is get a feel for what's really great about a city, and why people love to call it home. We thought that we'd share with you some of our favorite things about living in Atlanta. In no particular order, here we go! There's no denying it, one of the best things about living in Atlanta is the weather. You get a change of seasons, but the cold never stays for too long. Most of the year is lovely, with plenty of sunshine. Plus, there's no shortage of ways to get out and enjoy it. Restaurant patios, lounging in Piedmont Park, walking the Beltline, biking the Silver Comet Trail... Atlantans take full advantage of the Southern climate. Ok, this may sound silly. Most cities have an airport, and it's none too exciting, right? The value of an airport like Hartsfield-Jackson, with non-stop flights to pretty much everywhere at pretty much every hour of the day, is an often overlooked feature of Atlanta. Ask anyone who has lived somewhere that requires them to connect every time they fly, and you'll start to appreciate the convenience of living near the busiest airport in America. For a city this big, Atlanta is downright cheap. You get much more bang for your buck here than in other cities, with truly affordable options for housing and lots of other luxuries other cities don't offer - like readily available (and often free) parking. This makes Atlanta a great city for young professionals and families alike. Atlanta may not be quite the arts mecca that New York is, but it's got its fair share of cultural opportunities. When musicians go on tour or a Broadway musical hits the road, you can bet they are making a stop in Atlanta. We frequently have great exhibits come through, from King Tut's treasures to the fascinating Bodies exhibition. Plus, Atlanta has its very own High Museum of Art, with a great permanent collection and visiting art of the highest caliber. Throw in some awesome places to see live comedy or improv, a couple of solidly entertaining local theaters, dozens of galleries, and frequent special events - the opportunities to soak in some culture are always there for those who are looking. 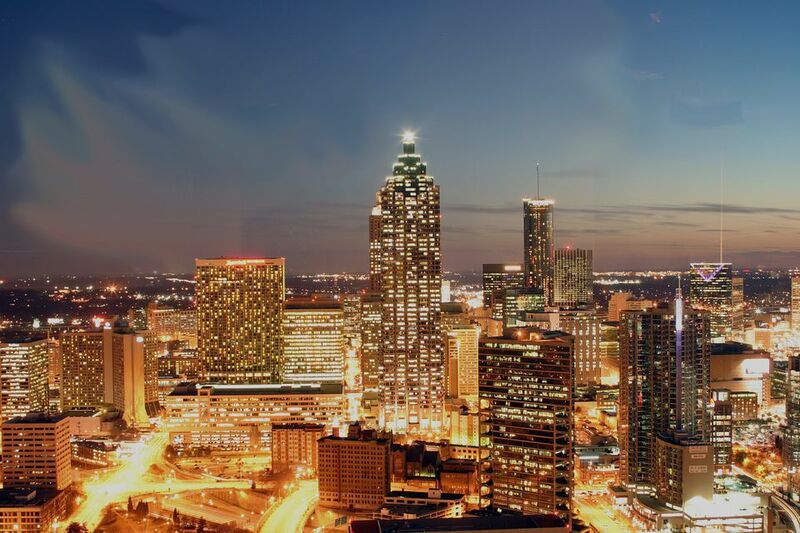 Atlanta is the business center of the South. The city is home to more than a dozen Fortune 500 companies, and other large employers like universities, hospitals, and more. While the job market can still be tough (the unemployment rate is slightly higher than the national average at the time of this publication), the city has been steadily gaining jobs and Atlanta offers excellent opportunities for professional career growth. Dining out is fun and Atlanta is a great city for it. With tons of options and so many local restaurants to choose from, you can find delicious dishes of all types without having to settle for national chains. From upscale to casual, exotic ethnic to the South's finest comfort food, the options are amazing! Atlanta's small and distinct neighborhoods around the city make it unique. Many of these areas are walkable (a rare find in Atlanta!) and have a real sense of community. They have their own festivals, their own style, and passionate residents that are dedicated to making their little slice of the city the best place to call home. Stroll through Virginia Highland, Inman Park, Candler Park, or Midtown on a sunny Saturday and you'll see what makes Atlanta's neighborhoods so special. Now, many would chuckle to see Marta, Atlanta's less than perfect train system, on this list of favorite things about the city. But, let us just say, we've been to cities with no public transportation system and what we've got beats the pants off of that option. Ok, so you likely won't hop on the train to get to a part of town you could drive to in 10 minutes. But when it comes to connecting visitors and residents to key places like the airport, downtown sporting and concert arenas, festivals where parking is a nightmare, and Braves games that start at rush hour - we're awfully glad Marta exists. Jerry Seinfeld once quipped that Atlanta is nothing but traffic and trees. He's not wrong. Atlanta has got plenty of both. If you've ever had the opportunity to see Atlanta from a bird's eye view, you were likely stunned at the sheer volume of greenery stretched out across our city. It's a unique feature. We love it. Within a short drive from the city center, there's access to some great state parks, wonderful hiking, and the vast outdoor adventures available to use in the North Georgia Mountains. Just 90 minutes outside the city (closer if you live in the north suburbs, as so many do), you can rent a cabin that's a world away and enjoy fishing, the changing leaves in fall, hiking, lakes, camping, and other outdoorsy activities in the foothills of the Appalachian Mountains. Simple as it may sound, people are pretty friendly around these parts. While it still feels like a big city, we operate at a slower pace. There's a focus on family, which often translates into the workplace, too. There's a genuine feeling of warmth when you walk into many (ok, not all) businesses. Atlanta is a transplant city, but when you meet a native, you'll usually know it. People are willing to lend a hand, they mind their manners, and you'll quickly learn the many meanings of "Bless her heart."